Like Berry Gordy’s Motown, Matthew E. White’s vision started in a house – the attic, to be specific. His vision was a modern update of Gordy’s pragmatism: music would be recorded efficiently, economically and communally with a house band made up of academically-trained musicians living in Richmond, Virginia. The name of this outline was Spacebomb, and its first result was White’s 2012 release Big Inner, a surprise critical darling that originated as a sort of advertisement for the label. Now, with the label’s release of Natalie Prass’ eponymous debut and his follow-up, Fresh Blood, Spacebomb is having a moment reminiscent of Memphis in the ’60s and Philadelphia in the ’70s. The label wants you to know that their sound is familiar but fresh; timeless but also of the moment. All of this is expressed on their website through artist profiles, a production page and a section labeled ‘story.’ It would be one thing to make such statements without delivering on them in the studio¹. Yet, the music lives up to the self-generated talking points. White has assembled a team of cohorts that help him produce, arrange, and play on records in a way that is not completely indebted to its reference points. You hear the sound of Philly soul in strings that take flight and soar. There’s a horn section that plays with the same heat that drenched Stax Records in a palpable sweat. The rhythms are established and enforced by White himself on guitar as well as fellow players Cameron Ralston (bass), Pinson Chanselle (drums), Trey Pollard (steel guitar). A choir is also in Spacebomb’s massive arsenal. The end product of all this plushness, while consistent, is never the same. Natalie Prass is just one example. Prass’ album is a romantic endeavor filled with love both lost and found. The strings that play behind White in his two efforts come to the forefront for Prass, swelling around her lovely coo. The rhythm and horn section for “Your Fool” and “Bird of Prey” give the album its soul-inspired backbone. But its flesh and blood lives on “It Is You,” a strings-only song that is akin to every cartoon princess ode to wide-eyed romanticism. There’s a feeling that Prass wants to walk through a very technicolor forest to introduce everyone to all her furry friends. There’s an understated cleverness in making this a final destination on an album where strings have more or less waltzed through Hitsville with Prass’ bright, chirpy vocals. It’s something that can only live on this album, with this singer, in this moment. White, on the other hand, deals in the spiritual. The production that he and his collective have drummed up for his solo work exemplifies that. Horns blare into the heavens as the house choir elevates White’s humble, almost nonchalant voice. “Big Love” is an implicit admission of his ardent Christianity through the gospel tinged rise of strings, horns and choir members. The song is about a breakup that White says he’ll “carry on” from while being wrapped in affirming voices. His faith is later made explicit on the same album’s closer “Brazos,” an 11-minute track that repeats the refrain, “Jesus Christ He is our lord/He is our friend”. The “old time religion” aspect of White’s work might seem evangelical to some, but there’s a restraint to all of it in the way the vocals are toned down in the mix. It elicits Norman Greenbaum’s friend rather than Pat Robertson’s. White’s Christianity, learned by a family of missionaries that lived in both Japan and the Philippines, couples with a liberal bent and helps to explain the duality within the music of Spacebomb: Familiar but fresh, timeless but of the moment. Constant tension between White’s spirituality and his on-the-ground humanism seem to be the hidden algorithm to make Gordy’s outdated formula work. Especially when today’s music fan can listen to a new artist each day with the help of uploading sites like soundcloud and Audio Mack. Odds were never in Spacebomb’s favor but, much like Gabriel Roth’s Brooklyn-based Daptone Records, the gamble is starting to payoff for both White and his beloved Richmond. One of the driving forces for the creation of the label was to unify Richmond’s rich, but untapped talent stream coming in from music programs at institutions like Virginia Commonwealth University where White attended. “Before we started Spacebomb,” White told the Guardian, “I felt like, ‘Man, there’s so many amazing people here in Richmond, I don’t see that in a lot of places.’ It felt unique to me.” Once again, the self-professed hype is not someone trying to sell his label to you. This quality of talent lends itself to the recordings. Everyone sounds sharp and on point. All of these musicians also show a knack for versatility. While the most talked about recordings are from Prass and White, Spacebomb also has two artists on their roster that showcase their abilities even further. Howard Ivans (formerly of Gayngs) released an EP on the label that consists of four songs. The first two are originals, while the final two are remixes of the first two. The first track, “Red Face Boy,” is a pulsing, four-to-the-floor track which utilizes the strings in a way that recalls lush Quincy Jones productions at his most danceable. His second song, “Pillows,” is a ballad wrapped in an ’80s sleekness. The remixes offer up a Natalie Prass disco duet (which also shows her durability) on “Red Face Boy” and a dub remix to “Pillows” that explores White’s admiration for the uniqueness of Jamaican dub. The EP reiterates the standard of mixing time honored styles with new techniques and players. 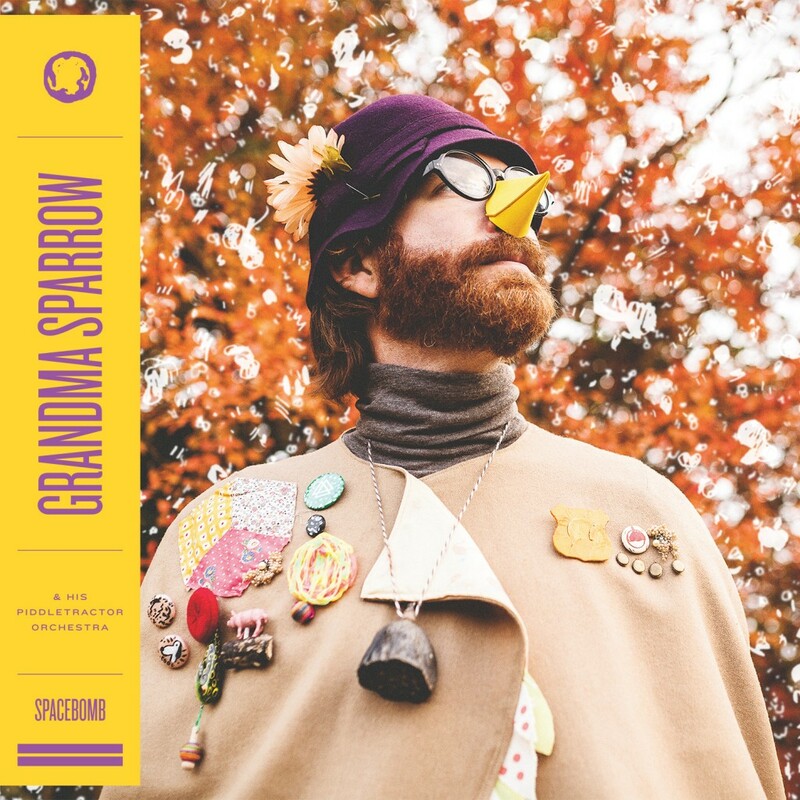 Spacebomb’s most experimental output is Grandma Sparrow & His Piddletractor Orchestra, a project of Joe Westerlund of Megafaun. The album completely deconstructs, discombobulates and distorts the idea of a children’s album. From its cover, you expect a twee arrangement of songs fit for a Wes Anderson film score but inside its like someone recorded themselves playing Bioshock: Infinite. Jazz age melodies give way to warping vocals then twangy guitars then nonsensical chatter. I couldn’t see any children enjoying it and maybe that’s the point with all of its nearly destroyed sound. Maybe it’s a fantasy of what a fucked up children’s tape would sound like after an adult was at wits end about hearing woodland creature make happy!!! noises for hours. It all speaks to what Spacebomb is entirely capable of doing. Which is to say, almost anything that they are willing to take a chance on. It’s hard to project Spacebomb’s future in an immediate world that stands in opposition to their “time honored” methods. Daptone Records was plenty successful in the late-aughts by making its own idea of rare groove records with a similar philosophy. Yet, patience has worn thin with the general populous, and Daptone has since became increasingly concerned with being as indebted to the records they were emulating. If White’s brain manages to remain at ease with the opposing poles that helped spark the label, perhaps goes the brilliance of Spacebomb. ¹Spacebomb has branched out from White’s humble attic studio to a proper one dubbed ‘Spacebomb East,’ though the label still uses the attic in a workshop capacity according to their website.